Hi Guy, It’s with great excitement that I write the first Team Newsletter of 2019. There’s a new season coming thick and fast and I very much look forward to seeing what’s ahead for all of you. I’ve already felt an increased sense of motivation and training urgency from you so the message from me is clear – let’s keep this momentum building towards the race season ahead. January has been a really quiet month race wise. 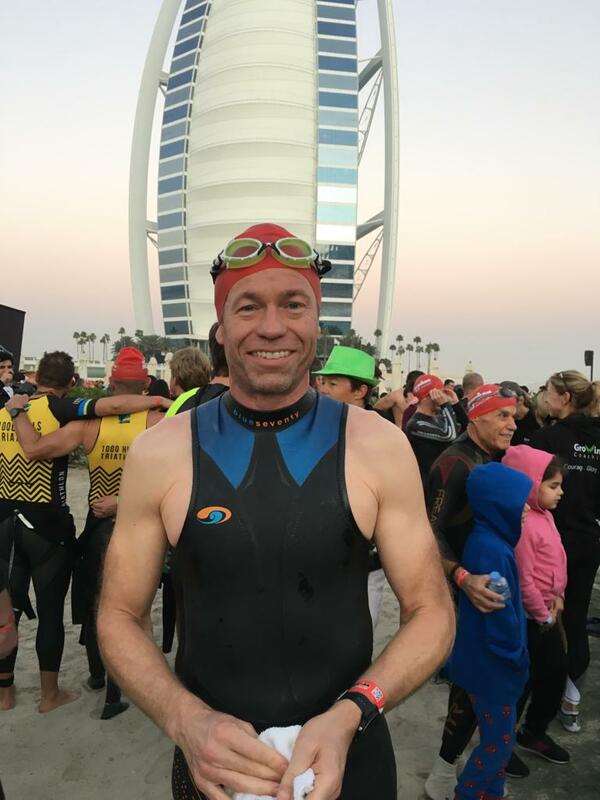 We had Francesca Wright & Helen Burton putting in two fantastic early season 10k performances & ‘The Big Man’ – Steve Drew racing at Dubai 70.3. After a good build up to his first race of the year, we were pretty excited to see what Steve could do. Unfortunately a week before the race he came down with food poisoning, this put the whole race in doubt. With flights booked and paid for he made the trip anyway but was too weak to do any training almost right through to race day, he did however get to know his bathroom pretty well as he couldn’t hold down any food. It was purely a case of let’s see how you feel on race day and just do the best you can. 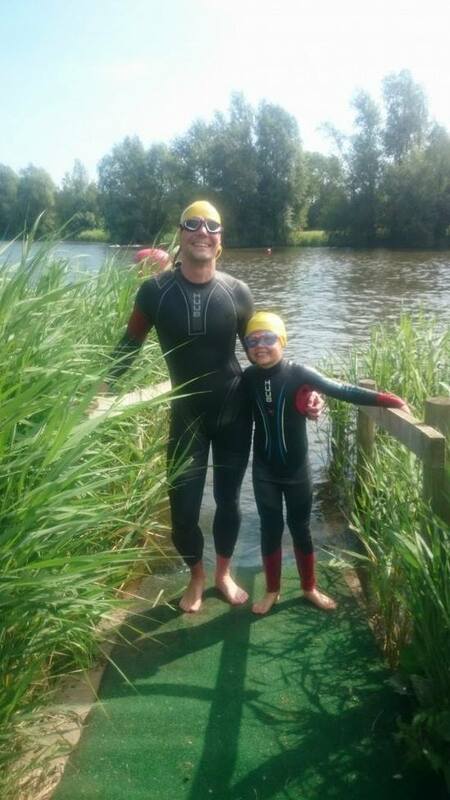 To be honest I never expected him to finish but he managed to battle on through to a very respectable 4:57 (34:30 swim/ bike 2:22/ run 1:50), finishing 25th /179 athletes in his age group (50-54). This was definitely one for the mental toughness bank and Steve well and truly proved his metal. There’s a simple lesson in here for you all of you, do not, I repeat, do not eat oysters the week before a race. 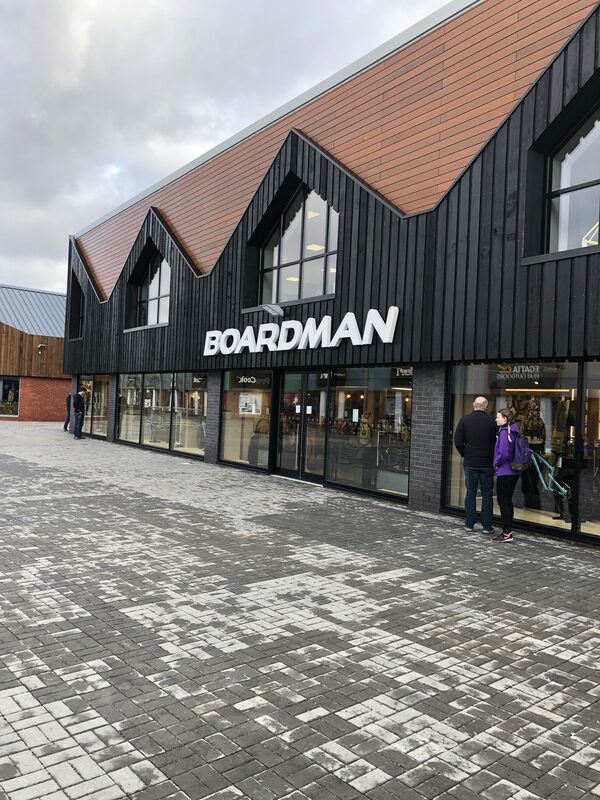 The main excitement for me this past month was having the unique opportunity spend a day at the new Boardman Performance Centrein Evesham, UK. 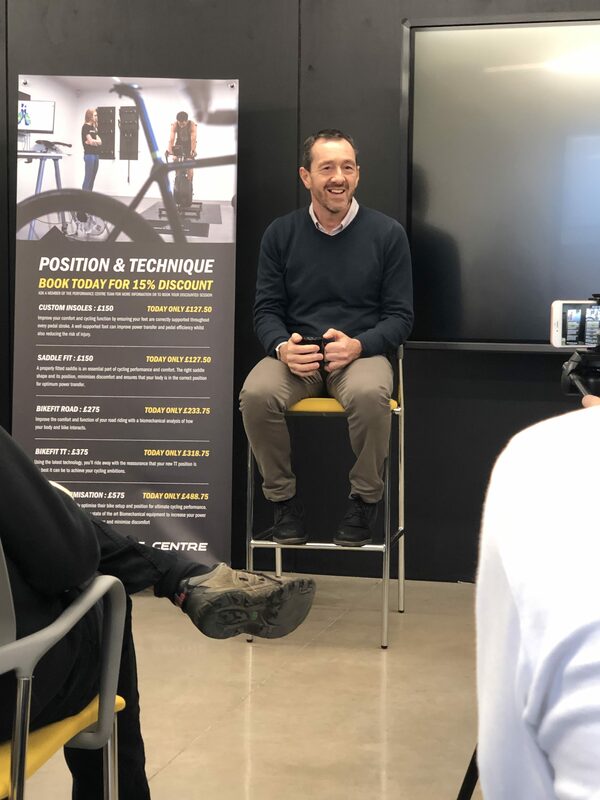 For those that don’t know it is the brainchild of former Olympic gold medalist, Yellow Jersey wearer and World Hour Time Trial record holder – Chris Boardman MBE. Chris is one of the greatest cyclists Great Britain has ever produced and for the past 10 years has pursued his dream of opening this Performance Centre. 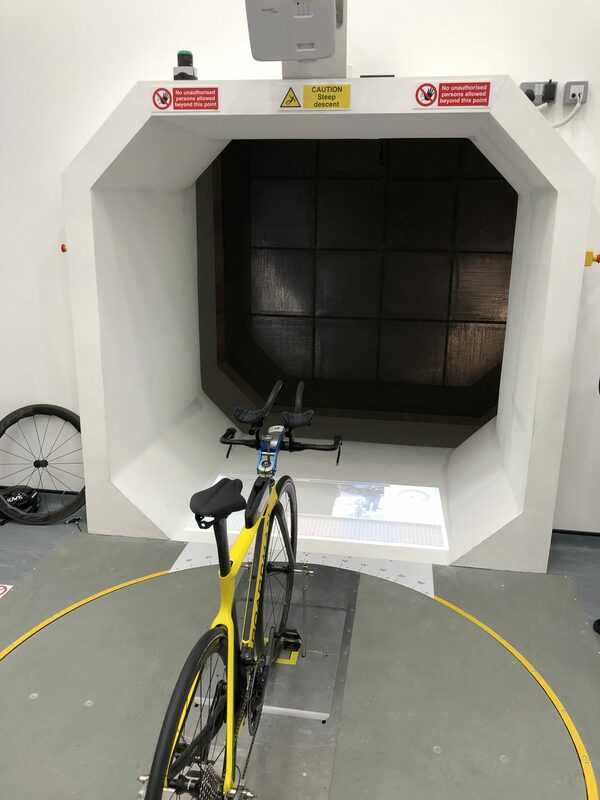 The Centre provides everything that a cyclist will ever need under one roof, specifically bringing wind tunnel aerodynamic testing to the masses at affordable prices. 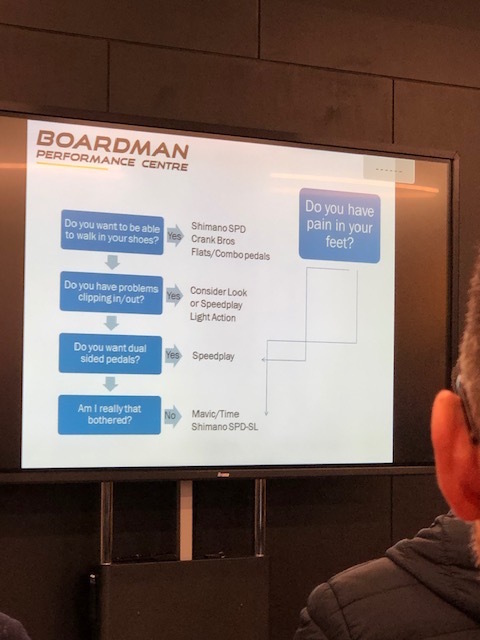 It also offers bike fitting and physiological testing, they also have the full range of Boardman bikes and other kit available in their huge shop too. It really is the ultimate sweet shop for all cyclists/triathletes everywhere. 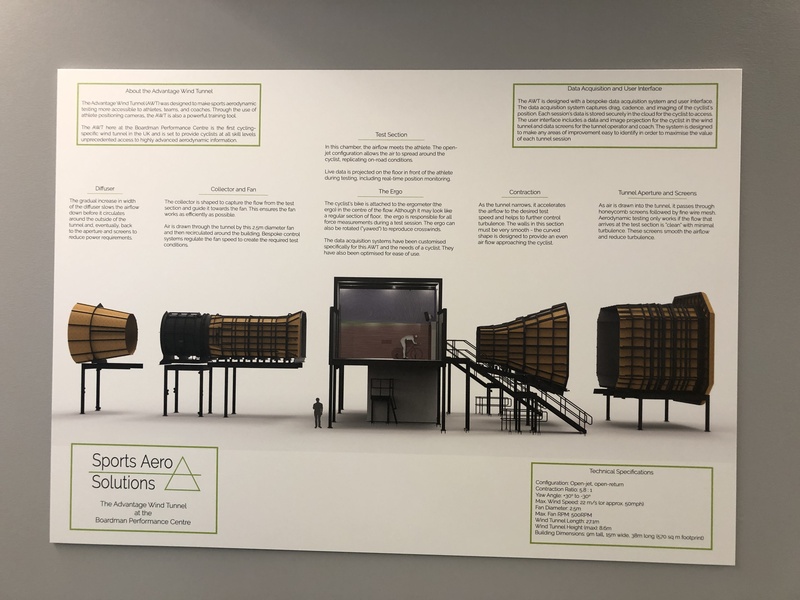 The wind tunnel was what I particularly wanted to see, the reason being is most of this kind of testing has only been available through Centre’s created to test car aerodynamics, especially in the world of Formula One. This has only ever been available at a massive cost previously. 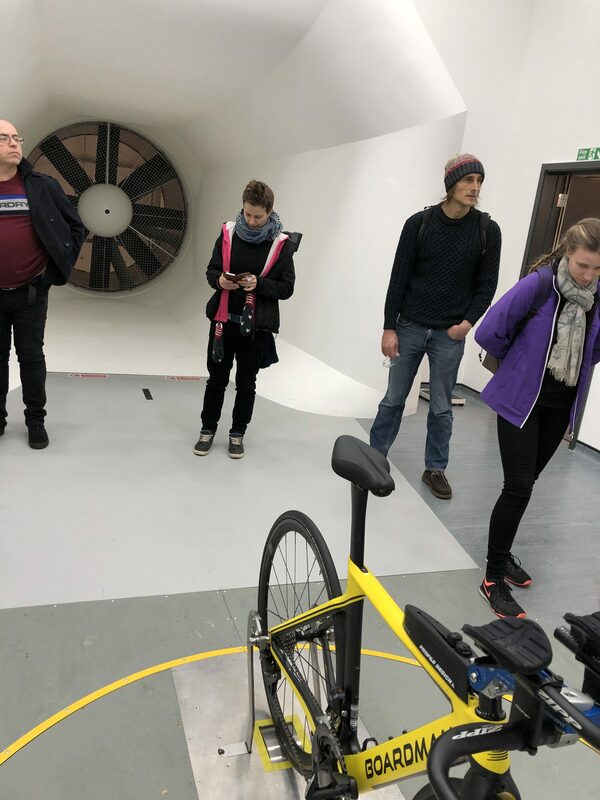 To put it simply we now have one of the most unique bike testing Centre’s in the world here in the UK that offers this and many other services. The day started with a talk from Chris, then a walk around before their team gave different presentations throughout the day. Then every hour for several hours they let someone have a go in the wind tunnel. 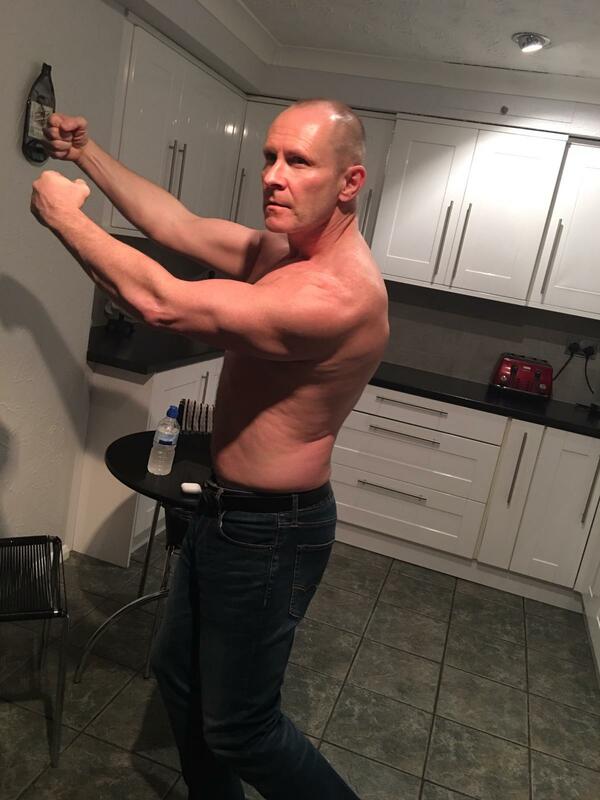 The most fascinating thing you could see was the immediate energy saving costs of adjusting an athletes body position or kit choice. The cyclist can also see the immediate affect of these adjustments as the data is displayed on the floor just ahead of them. It really was extraordinary to see how the smallest changes could make such big differences in energy savings, but maybe not so when you consider how much air resistance increases the faster you ride (see image below). Even just closing a 1cm gap between your hands on the aero bars results in a saving! It all counts. 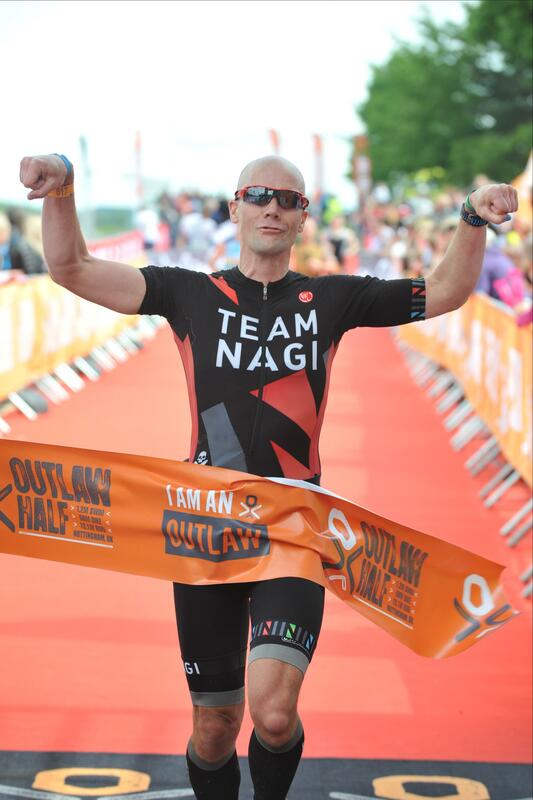 What was also clear was that they are finding big gains for some of the best athletes in the world (they’ve seen Lucy Charles & Ironman World Record Holder – Matt Hanson recently). 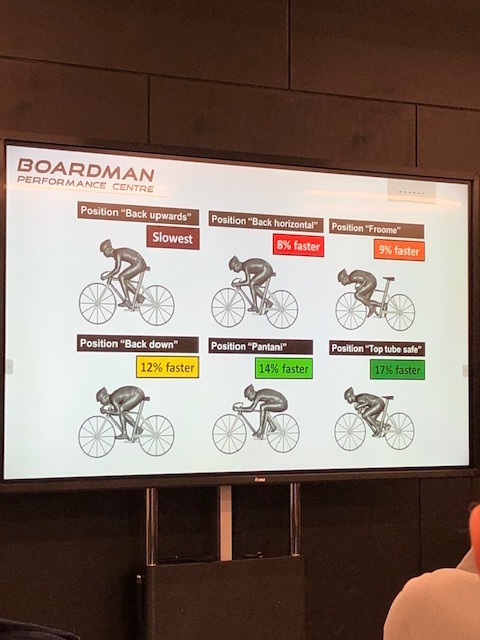 These are athletes that are already set up in good bike positions but they are still managing to find them 10-20 watts in savings by making very subtle changes. 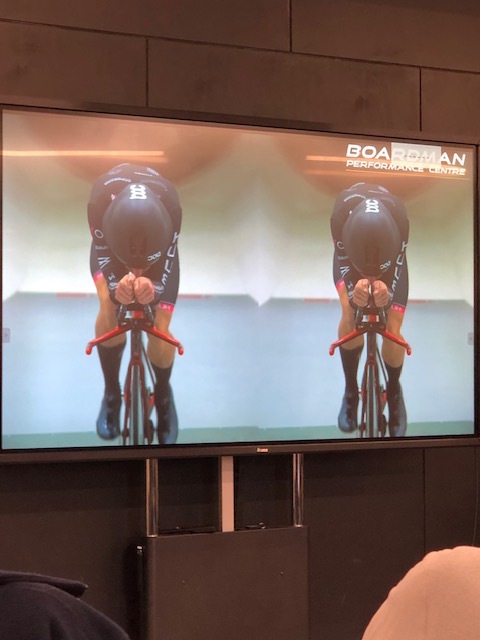 On the flip side they showed a newbie triathlete that had been set up in a really poor position, they made some adjustments and managed to save him nearly 60 watts just with positional changes alone. Just think of how hard you would have to work in training to achieve anywhere near that. Bianca Broadbent (physio & bike fitter) gave another impressive talk. This is a very powerful combination in itself because it is so important for someone to understand your body before they fit a bike to it. We are all so uniquely different and what might work for one athlete certainly wont work for another. This starts with an in depth analysis of your body, looking at your levels of flexibility, mobility and other areas of strength & weakness. What was especially interesting was the focus given to the feet. Research showing that 80% of triathletes are buying bike shoes because they are on sale or look good and not because they are the best fitting shoe for them. They are also buying pedals before they choose the right shoe when it should be the other way around. 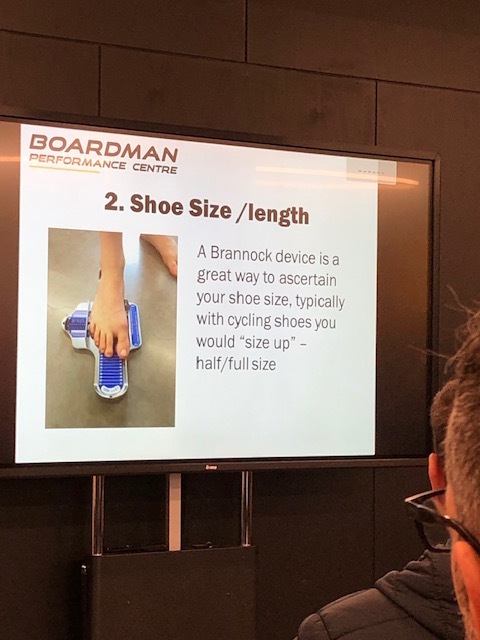 You will see in some of the images I’ve shown below that there are multiple foot shapes, sizes and pedal types. It can be a minefield for cyclists everywhere. This clearly demonstrates why bike shoe choice is absolutely paramount to avoid any unwanted issues and discomfort. There will be a brand that works for all of these foot types, they key is finding the right one that suits you. Common sense when you think about it but something quite often ignored. 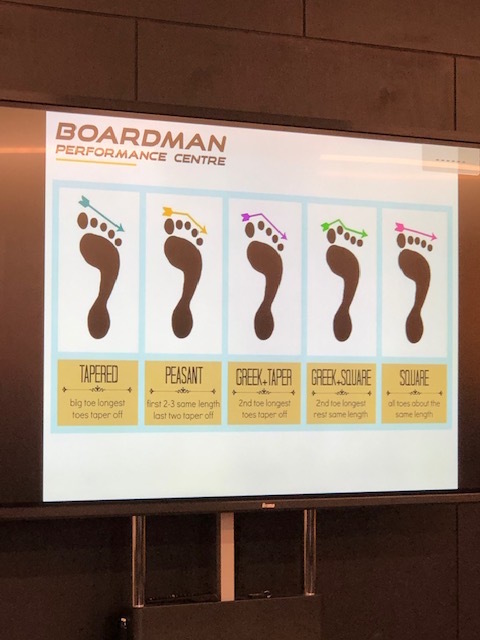 What was also impressive was their ability to measure pressure on your contact points on the saddle and your foot/shoe/pedal interface as your foot moves. With many athletes being set up in sub optimal positions or using equipment that is creating unwanted areas of stress. This is particularly evident in the type of pedal, shoe and saddle choice. They have a full range of different saddles to try so they can find the one that suits the athletes based on this readily available data. Chris paused and thought for a few moments, he then proceeded to tell a very open and honest story of how he was bullied very badly at school, this shattered his self-worth and confidence. He then found cycling; started to get pretty good at it and eventually began winning some races. This helped build his confidence but he made the mistake of tying up his own self-worth in winning, which ultimately for him was a really bad thing because you can’t always win. In later years he started to work with the legendary Coach/Sports Scientist – Peter Keen. For those that don’t know Peter was the catalyst for making British Cycling what it is today. 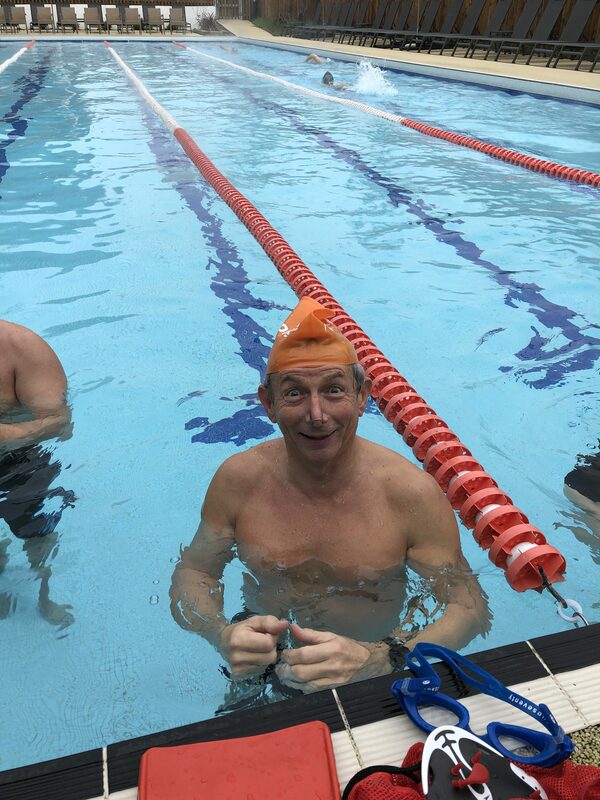 He also coached Chris to Olympic Gold and all 3 of his one-hour World Records. What he said Peter taught him (he stressed; through massive failure & some success) was to be more fascinated more with the journey than the end result. He loved to know how things worked or as in many cases didn’t work. Chris found this thirst for better knowledge & understanding fascinating and it inspired him hugely. It was this investment in the process and journey, not results, which helped him develop an even greater source of inspiration and love for cycling. I thought this was such a great answer for someone new coming into sport but even more so for the amount of athletes I see losing sight of this. With many getting caught up in the rat race. The message was clear, if you don’t win or succeed, it’s an opportunity to learn. So get excited about failure because sometimes the biggest failures and disappointments lead to the greatest successes. You just need to demonstrate the maturity & open mindedness to know it’s all part of a process that will allow you to uncover your true athletic potential. 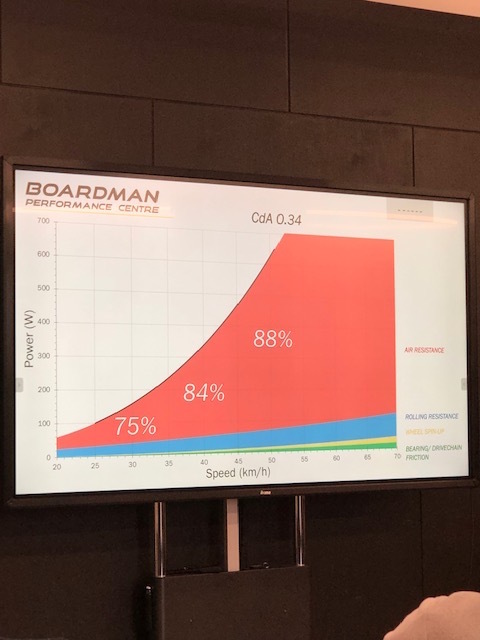 What is clear about the Boardman Centre is it is a World Class facility, with World Class experts and the passion of an Olympic legend driving it. There is something for everyone no matter what your level or ability and many different packages. Some might consider it expensive and others wont but what is clear is that it can help you get from A to B quicker by helping you optimise your efficiency & comfort. This is a new section I will be adding to the newsletter each month for those of you looking for some really good reading material. Hopefully you will find a good source of motivation, knowledge and inspiration in them. 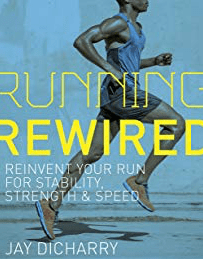 The book I’m recommending this month is called ‘Running Rewired’ – by Jay Dicharry. All I can say about this book is that once in a blue moon a book comes along that stands head and shoulders above all others. What makes this book so good is the way Jay takes some pretty complex issues and makes them so much easier to understand. It also makes clear why research is now showing that over 80% of triathletes are constantly injured. Jay explains running and movement in a way that I’ve rarely seen before, he will also help you get a better understanding of your body and the way to train it so that it works for you. It really is a must read for all triathletes and coaches out there. JJ, always JJ apart from to my mum. I’m an ex-scientist, I don’t believe in that rubbish. In another life you would have been a…..? I’ve always been a multi-eventer. I would have loved to have made it as a Decathlete, but lack of overall talent and total technical inability to pole vault put a stop to that. I live in the Peak District and surrounded by amazing countryside, so it has to be the cross country fell running I’m not allowed to do! I don’t really listen to music anymore when training, but I like the Theme from the Wombles for running easy to (!) and now if I do need a boost to finish a hard turbo, it is always Thunderstruck. Lanzarote just edges out Mallorca. The long course pool at Club La Santa blew me away and I love the hill climbs (but very much not the descents). In the UK, the Peak District! Completing IM Wales on a whim on the back of no long distance training at all. 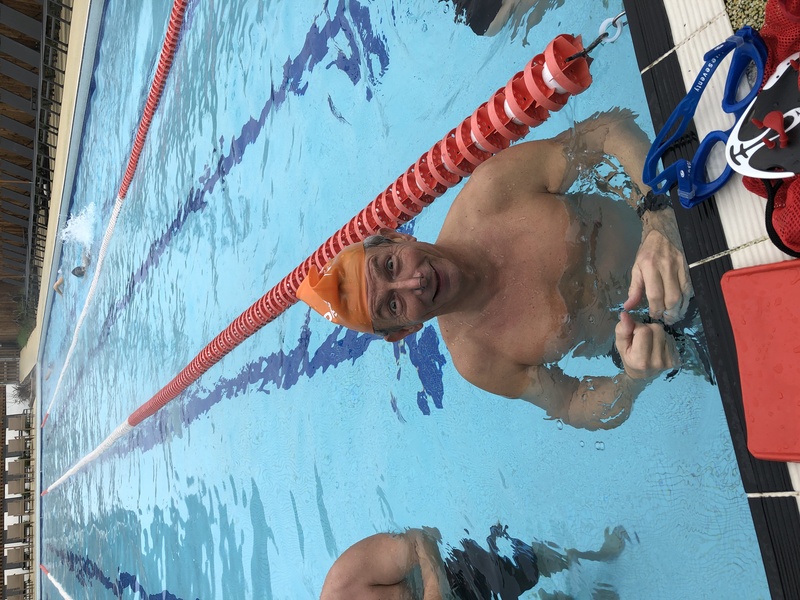 I was always going to be able to do the swim, but the rest was all unknowns. In retrospect, it was madness, but it taught me that I can do anything and what everyone says is true, the support is amazing there. I’m looking forward to giving it a decent crack . . . when I’m ready. My boys always tell me “never give up” and it’s on my headset cap. If you could choose 3 famous people to come to dinner with you who would they be & why? Daley Thompson – my all-time hero. Atul Kochhar – he’s cooking! I don’t see training hours alone as a valuable metric, but around 10-12 hours a week right now with a lot of S&C work. What are your training & race goals for 2019? 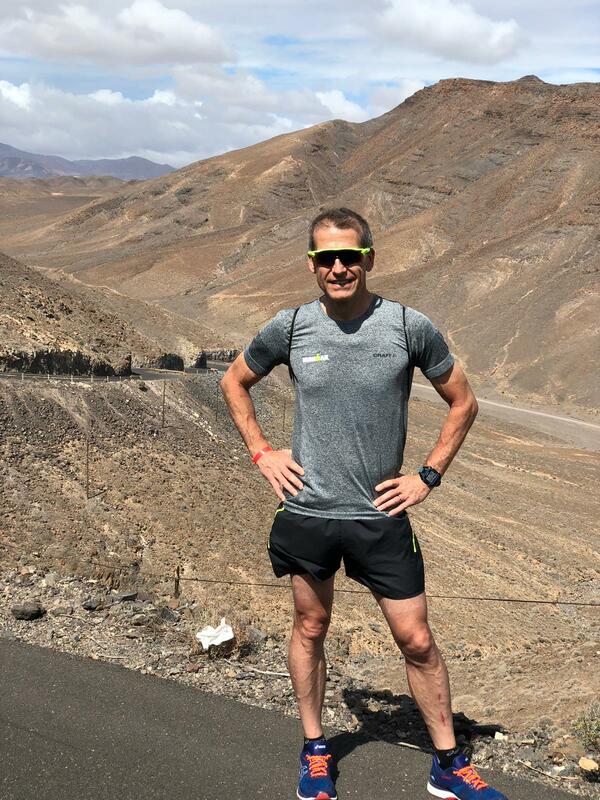 Keep enjoying myself, maximize my training potential by getting strong and staying injury free and perform the best I can on race day and see where that takes me. My main race goals are long term. 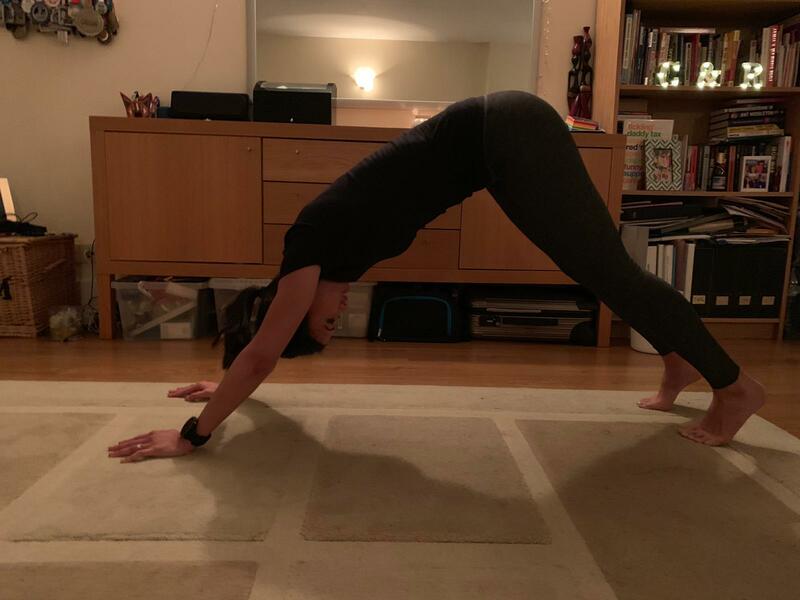 Love it when my triathletes go all Yogi – but who is this striking a pose with our yoga Guru Paul Sullivan? It’s a terrible affliction, ‘Mr North with a bad case of ‘Smurf head syndrome’. Be careful trying the Pantani position gents!